2017 is rapidly coming to a close. Where does the time go? We here at Premiere Health Chiropractic genuinely hope you have had a wonderful, healthy year, and want to help you prepare for an even better, prosperous new year in 2018. At this time of year, it seems that everyone is obsessed with lists. We are no different. Whether it’s recounting all the amazing feats and statistics of recent times or looking forward to predict upcoming trends, compiling data in a list format proves to be an efficient method for conveying helpful information. Every year for the past 12 years, the American College of Sports Medicine (ACSM) has conducted a survey of active health & fitness professionals to determine the top fitness trends for the upcoming year. In 2017, over 4,000 professionals from across the world participated in the survey to come up with 20 trends that will dominate the ways in which we will engage in physical activity over the next several months. We are going to share the survey results as well as interject a little bit of feedback and further information. Chiropractic care is an essential component of your general well being, so it makes sense that we also want to share fitness and wellness trends with you. Especially now, when most of us are poised to make New Year’s commitments—​​​​​​​​​​ ​​we don’t like to call them resolutions, as that term has grown to become synonymous with broken promises. As all of us look forward to a new year committed to healthy living, let’s take a look at the hot new ways to stay in shape. With Orange County as our bountiful playground, we encourage everyone to give a few of these fitness techniques a try. What’s more, we provide many of the services, exercise routines, and guidance right here at our sister facility, Premier Fitness, in Newport Beach. 1. High Intensity Interval Training (HIIT). Short. Sweet. Severe. Strenuous. Satisfying. We could go on with the alliteration, but these five words really get to the point, succinctly (sorry, we couldn’t resist). HIIT is an amazing way to accomplish fitness goals in a relatively short amount of town. However, it is not for the casual exerciser, and it should be approached with discipline and respect. Before engaging in HIIT, make sure you body is ready to take on the physical demands of the activities you will be performing. Proper alignment and optimal performance can be achieved with regular chiropractic adjustments and soft tissue manipulation. If at any point in time it seems like you are pushing too hard, dial back the activity to medium-to-low intensity interval training. 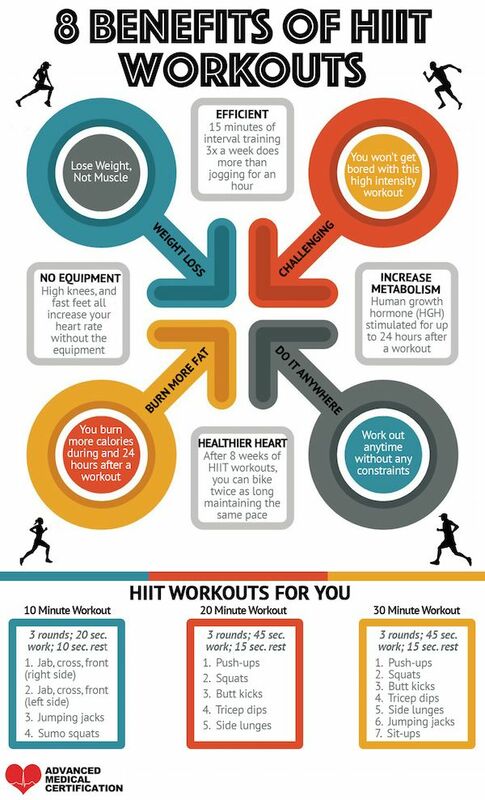 The following infographic, courtesy of Advanced Medical Certification, illustrates the benefits and shares some great HIIT routines guaranteed to fit into your daily routine. 2. Group Training. Fitness classes and group lessons have been around for ages, and have recently experienced a renaissance in popularity. Let’s face it— humans are pack animals, and we tend to flourish when we are “all in it together.” Trainers take on motivational roles focused on the success of the entire group which eliminates the emphasis on individual achievement and promotes a convivial atmosphere. 3. Wearable Technology. A few years in, and wearable fitness tech is still thriving. And we couldn’t be happier! As your health and wellness providers, we are able to use the data logged by your personal devices to gain insight into your fitness routines. With all the information at our disposal, we can offer suggestions and make adjustments to help steer you on the right path to optimal fitness performance. 4. 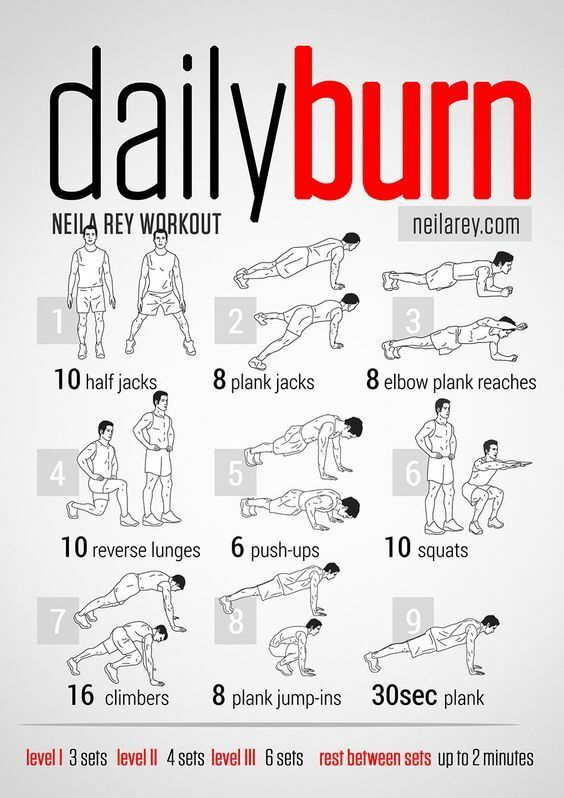 Body Weight Training. Over the past 5 years, body weight training has grown immensely in popularity. Similar to HIIT, this form of exercise doesn’t require additional equipment, and it can be performed virtually anywhere. All it takes is a little motivation and creativity. Take a look at these 50 body weight training exercises from Greatist, and put together a program that speaks (that is, a program you will actually do on a regular basis) to you. infographic giving statistics, facts, and figures why strength training is recommended for a healthy lifestyle. 7. Yoga. What is not to love about yoga? It’s a complete workout for body, mind and soul. Anyone can do it, making it one of the most accessible exercise trends on the list. Living in Southern California and practicing yoga on the beach at sunrise or sunset may sound like the ultimate OC stereotype, but it is one we are happy to embrace. Increase your flexibility, develop core strength, and maintain the figure you want when you make yoga a normal part of your fitness routine. 9. Fitness for Older Adults. Today’s aging population is much more active than previous generations. We are all living longer, healthier lives, which, in turn, drives the demand for exercises classes and programs for older adults. From promoting longevity to decreasing risk of injury to maintaining social connectivity, healthy exercise programs for seniors is a trend we are glad to see on the rise. Infographic describing the importance of physical activity for senior citizens. 10. Functional Fitness. It’s okay to admit that you don’t know what this trend is (at least, not by the title). Functional fitness is strength training that is designed to facilitate routine, daily activities. By emulating commonplace motions, you can develop strength, balance, coordination, and improved health. Popular among older adults, it often incorporates routines that directly correlate to doing chores around the house. As it requires no additional equipment, it can easily be adopted and practiced pretty much anytime, anywhere. 11. Exercise and Weight Loss. Peanut butter & jelly, spaghetti & meatballs, and exercise & weight loss are some of the most popular duos in our world. One of the primary motivators for engaging in exercise is weight loss, and that trend will not go the way of the dodo anytime soon. There are literally too many exercise programs, institutions, and fads focused on weight loss to count. A critical element not to be overlooked is sustained healthy eating, which is why we think of this duo as more of a power trio (i.e. exercise, weight loss, and healthy diet). 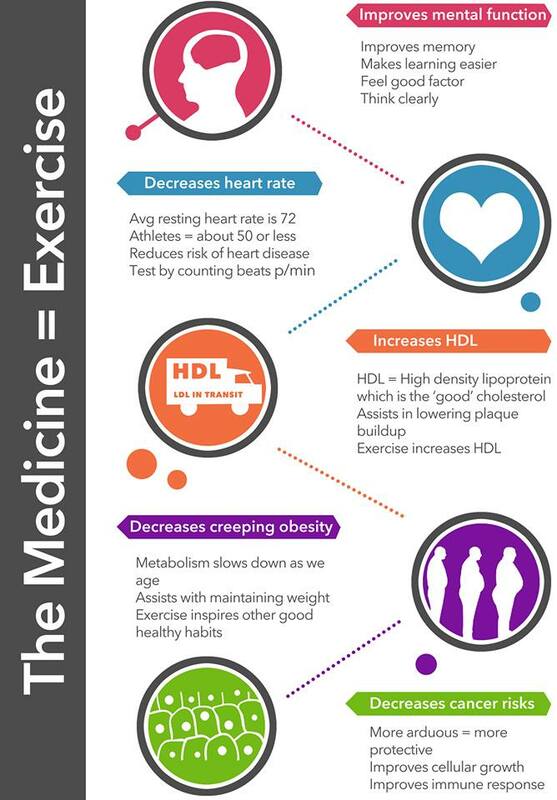 infographic describing why exercise is as effective as medicine for good health. This concept is actually a global initiative focused on getting members of the medical community to prescribe physical activity to patients as a part of their treatment plans. Living a physically fit lifestyle does absolute wonders for promoting longevity, boosting one’s immune system, and improving mental health. 13. Group Personal Training. Well it’s not quite a one-on-one session, but it’s not a class, either. Group personal training involves a small group, usually 2-4 people, with one personal trainer. Each participant will go through the same workout routine and receive personal attention in a communal environment, which is more welcoming for many people. Not to mention, the group session is usually more affordable than a private lesson. 14. Outdoor Activities. Welcome to Newport Beach, where outdoor recreation is king! With hiking, surfing, mountain biking, and just about anything you can imagine so easily accessible, we find that many of our patients and members are avid outdoor enthusiasts. Not only is it a great way to get in shape, but it is actually fun to get outside and experience life away from the confines of the gym. 15. Mobility Rollers. These were all the rage a few years ago, appearing everywhere from Pilates studios to boxing gyms across Orange County. The verdict is still out whether this trend will last forever, but one thing is certain: people are gravitating to rollers and classes that incorporate rollers. And who can blame them? Rollers are grate for relieving muscle tightness, alleviating spasms, improving circulation, and diminishing overall discomfort. 16. Fitness Licensure. This is very closely related to number 6 above, but it is speaking directly to those being licensed as personal fitness trainers. There are an increasing amount of different licenses appearing at both the local and state level. Consequently, more individuals are seeking to attain specialized licenses in a variety of different fitness disciplines and categories. 18. Wellness Coaching. This popular trend integrates behavioral change science with healthy living, disease prevention, and rehabilitation. A wellness coach uses a one-on-one approach to provide support, guidance, and encouragement to achieve short and long-term goals. The focus should always be on the client’s values, needs, vision, and goals. Look at that beautiful infographic above—​​​​​​​​​​ need we say more? 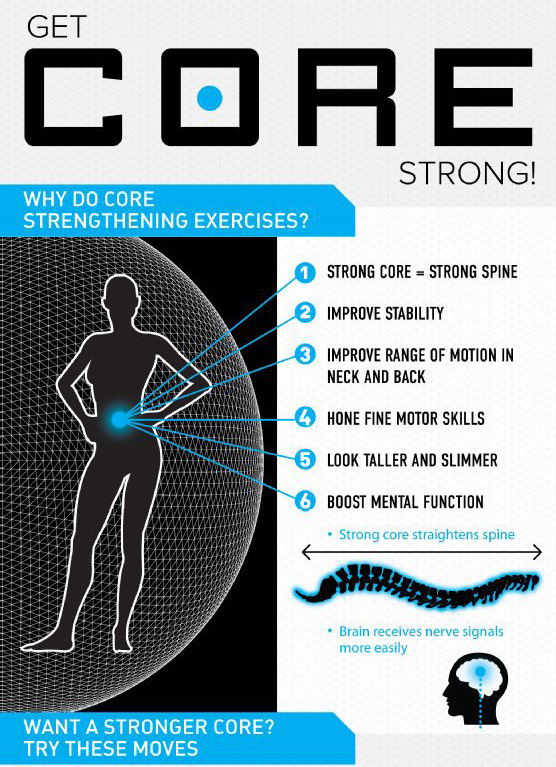 Seriously though, developing a strong core is one of the greatest things you can do for yourself, physically. It will enable you to perform daily tasks easier, excel in your favorite activities/sports, and increase your overall agility, strength, speed, and durability. 20. Sport-specific Training. This particular trend is most popular with younger athletes (think: high school & collegiate athletes). Gone are the days of seasonal sports. If someone is serious about a sport and wants to advance his career, he needs to be training and optimizing his body throughout the entire year. When not directly practicing or participating the sport (i.e. the off-season), the athlete immerses himself in exercise routines that will help build strength, endurance, and agility. The focus is on taking one’s ability to the pinnacle to be able to compete and achieve at the highest level. Wow. It looks like we made it through the top 20 list of health and fitness trends to look forward to in 2018. Quite a lot of variety to choose from, wouldn’t you agree? We encourage you to look at this list more than once and pick one or afew items that look appealing/worth considering implementing into your future fitness plans. Once you find what you like, do a little research, or get a hold of us. Our passion for chiropractic care is only equaled by or passion for fitness, and both are fueled by our absolute obsession with enabling everyone to live the healthiest and most satisfying lives they desire.